Somewhere in between spending your last dollar at the club and the next morning, a tiny part of your Las Vegas self will scream aloud “why didn’t I save time and money for other things?!”. Perhaps, it’s because you didn’t know there were so many other things to do in Las Vegas! Check out this awesome list, full of next-to-nothing happy hours and do-before-you-die adventures! It might sound like a naughty adventure, but this ‘twice-a-day’ deal is anything but! Visit the classy Champagne Bar and Lounge. For $36 you can drink as many glasses as you like, within one of the two available two-hour time frames. Of course you can get chocolate anywhere, but HEXX provides Las Vegas with ultra-premium chocolate, made from scratch. 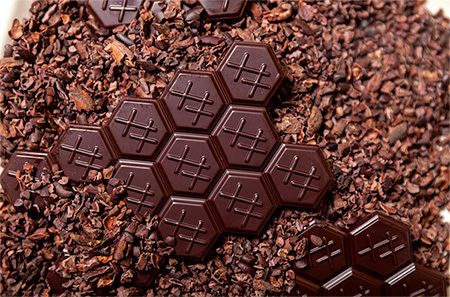 Cocoa beans are sourced from all over the world, and the chocolates at HEXX are best enjoyed like a fine wine. Not only does this restaurant have incredible discounts on their meals, you’ll have a hard time finding a better selection of happy hour beverages! $7 Wines, $7 Cocktails and $5 Beers! In Las Vegas, Emeril’s is a great, hidden deal! Do you dare? Visit one of the best, modern bars in Las Vegas, with a great view of the strip. Then, head over to the see-through section of the patio, where the floor is made of glass! Peer down 55 feet to street level and jump on it a few times! You like to move fast. Don’t miss this chance to jump into a fully functional stock car and take a trip around the speedway for a few laps. Imagine losing your breath to the fastest speeds you’ve ever clocked in a motor vehicle, without getting pulled over! There are two locations for Brio, so you can have twice the chance to get your Italian fix and keep cash in your pocket. Try the Sausage, Pepperoni and Ricotta Flatbread for only $5! On Wednesday you can catch $5 martini’s and on Thursday, they have $5 select wines. Open Sunday through Thursday, the inviting atmosphere and warm fireplace will keep you coming back. Well drinks are $3 and Hamm’s beer is $1. Pick your favorite and keep warm all night! 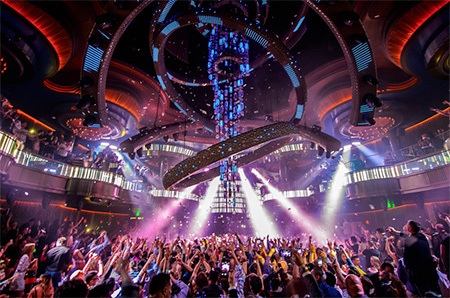 This high-profile Las Vegas dance club is massive. No matter what else you see here, be sure to take in their renowned, massive chandelier! It hangs above the dance floor, changing into different shapes, moving to the beat. It certainly keeps you on your toes! This observation tower comes with something that no-other in the world can boast: bungee cords so you can jump from the top. If you’re daring, take a leap from the tallest freestanding observation tower in the US! Love tacos? Love cheap tacos? Perfect. At the Cabo Wabo Cantina, you’ll find your choice of chicken, beef or pork, served street style, for $2. Wash it down with a beer for only $5. Get close to the action with a 3-story water slide that passes you through an enclosed aquarium containing sharks and other sea life! The tour afterward lets you in on how it’s all done and shares info about the sharks and their diet. Do not miss this spot! If you are a sushi lover then you can NOT pass this up! Happy-hour provides visitors with full-sized portions of your favorite rolls for as little as $4-$10. In addition, there are often specialty cocktails and $6 hot sake carafes. This observation wheel is one of a kind! 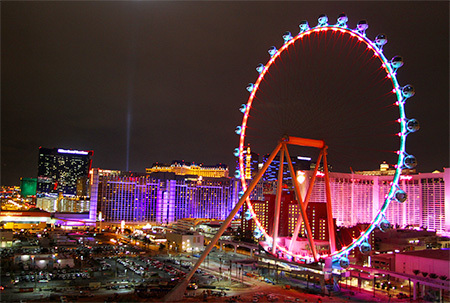 More than your standard ferris wheel action, the High Roller gives you a beautiful view of Las Vegas at 550ft up, as well as a personal bar tender for each cabin. Of course, you can get bottle service at many places in Las Vegas, but where else will your bottle be served to you by a parade of beautiful regal waitresses and a very lifelike horseback rider? Indulge, be the king, or queen, for an evening! While the happy hour here only lasts from 5-5:50, they more than make up for the shortage of time by featuring a different draft every night, for only 50 cents. With their delicious menu too, you can’t pass this up! If you’re going to go to a buffet in Las Vegas, you have to do it right. While there are tons of places to go where the food is made constantly and in large batches, you should opt for places where the food is worth every penny. Check out the Wicked Spoon @ The Cosmopolitan or The Bacchanal Buffet @ Caesers Palace. While Carnevino already ages their steaks much longer than the industry requires, they go a step further, taking the very best cuts and placing them in their ‘riserva’ program. The steaks are aged for an additional 11 months, and are around $100 for a one-inch portion. Take this chance to try some tantalizing Mediterranean and Spanish cuisine during this brilliant happy hour. For $6, small plates like chicken croquetas and patatas bravas can be paired with delicious sangria, beer or wine, also for $6. Think of it like Call of Duty, but in real life. And instead of fighting other soldiers, you’re fighting the zombie Apocalypse. With special ops training from Army Rangers, Navy SEALS, the Green Beret and Delta Force, there is more that enough experience, firepower and explosions to make this trip more realistic than you’ll ever believe. Head over to this beautiful restaurant to enjoy the biggest, most beautiful ice cream sundae you’ve ever seen. Inside of a giant chocolate treasure chest there are 3 large scoops of ice cream, cookies, and tiny cakes. 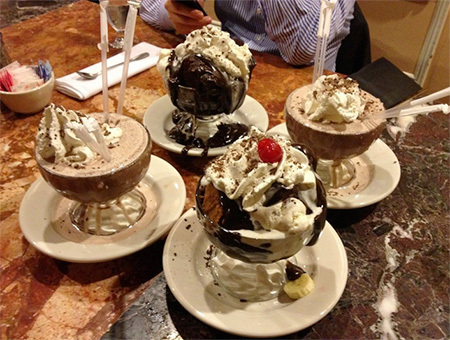 $99 is a small price to pay if you truly love desserts, or have lots of hungry companions. Lave & Tao are two separate locations that both offer the same stellar deal. If you come in and order an appetizer during happy hour, you get a cocktail for free. Free drinks? Who says no to that? It will only take about 15 minutes, but the aerial tour of the strip is truly breathtaking. From up so hight it looks like a beautifully lit model of a bright and bustling city. Satisfy that sweet tooth craving in a snap! Don’t wait in line at Sprinkles or LINQ; instead, use the cupcake ATM outside the front door! Swipe your car and your sweet treat will be delivered to you instantly! This well known eatery is big on the bar-food. Mac and Cheese, Garbage Fries, Chicken Wings and more for only $5 each as well as $3 cocktails, $4 domestic beers and $5 drafts. Get your Garbage Fries and get your grub on in this delicious restaurant! Although it’s only half the size of the one in Paris, climbing to the top will still provide visitors with a fantastic view of the strip below, a delicious restaurant and a stellar place to take photos!